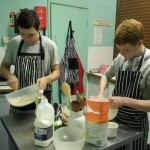 Home » Cook for yourself – new sessions for young people! 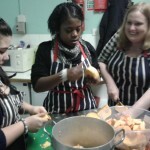 Cook for yourself – new sessions for young people! 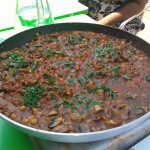 Do You Like Food? Are you aged 15-20? Fancy learning a few more cooking skills? Want to know how to make tasty curry? How to cook rice? Want to know how to chop vegetables quickly? Then the Grow Wild 4-Week Cooking Course is for you! Each week we will learn new techniques and widen our knowledge of food preparation, how to make food tasty, to cook cheaply but well, make everyday dishes special, learn how to shop more efficiently and what do do with leftovers! Tuesday evenings 5pm to 8.30pm at 178 Community Cafe, 178 New Cross Road. Start date TBC. By signing up and participating for 4 sessions you will receive a course certificate and a kitchen starter pack including spices and ingredients and recipe cards. There is also the opportunity gain a Food Safety Level 1 Certificate.